The fascinating story of Georgie Bird who started on The Farm, bought a Manor House and then had a fight to the death against the new fangled motor car. George Coveney Bird (Georgie) was born towards the end of 1851 at Chessington Court Farm, opposite the White Hart. I haven't yet found him on the 1861 census. He was on the farm with his parents and siblings in 1871 with an occupation of "clerk in mercantile office" (the same as his brother Henry Ross Bird). An article in Hook Remembered recalls that he was a keen sportsman and loved horse riding. He kept racing horses in the paddocks and was a keen hunter who had formed a pack of beagle hounds at a young age. The paddocks were sold and the land used for the development of the local arcade shops and post office. 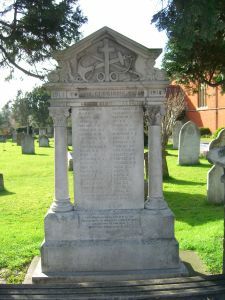 His Mother died in 1875 and he was living at Chessington Court Farm in 1881 with his father, who died just over six months later. However, they must have sold the freehold as by March 1891, he had bought The Rhodrons, a manor house in Hook, and is living there in March 1891 with one servant prior to his marriage to Nina Mabel Florence St Paul, who he married in the second quarter of 1891. They were still living there on the 1901 census with five servants and are still both there on the 1911 census with three servants. The census form says there are 13 rooms (including the kitchen). The Rhodrons is now the home for a social club. Nina is undoubtedly the Mrs G.Bird unveiling the War Memorial (see photo on the right) in 1920. I have been in contact with a direct descendant of hers who is researching the St Paul family. She tells me that Nina’s father was Deputy Leiutenant of Northamptonshire and a Justice of the Peace for Northamptonshire. 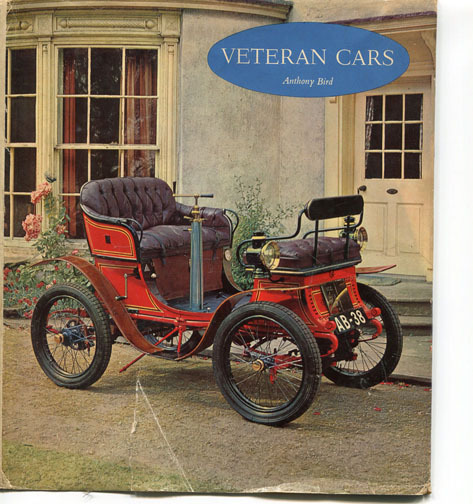 It is ironic that he detested cars as his grandnephew, Anthony Bird, loved old cars and wrote various books on Veteran Cars in the 1960’s, which are still available today. The article in Hook Remembered sadly reports that, Georgie, who was opposed to the new fangled motor car, was eventually run over and killed by one. He saw red every time one passed the end of his drive, which today is the extremely busy A243 Leatherhead Road. He put notices out and used to shake his fists at motorists who he blamed for ruining his crops. It says he was described as “a most colourful character” and someone said he was “a terror”. One evening in November 1930, now 79 years old, he was wheeling his bicycle along the Leatherhead Road when he was hit by a car. He was taken to Epsom Cottage Hospital where he died a few hours later. Before he died he said “I tried to dodge the brutes but they came and hit me in the back”. His death certificate has cause of death : injury to the pelvis from broken Pubic Bone and shock from fracture of both legs caused by being run into by a Motor Car when pushing a pedal bicycle. Post Mortem - Accident.” Inquest held by Coroner for Surrey 18th November 1930. In his Will, which he drew up in 1904, he left £9,927 (worth about £526,000 using the retail prices index), “unto my dear Wife for her own use absolutely”. To do : Visit the Surrey History Centre in Woking (GU21 6ND) to find details of the purchase and sale of both Chessington Court Farm and The Rhodrons. When was the Farm sold, who to and how much for ? Also look for newspaper articles from November 1930 on Georgie Bird's death having been run over by a motor car. Inquest held 18th November 1930 and there should be records of this somewhere.